Looks like Spencer has Puss-in-Boots eyes down to a science! This cute guy is called Spencer. 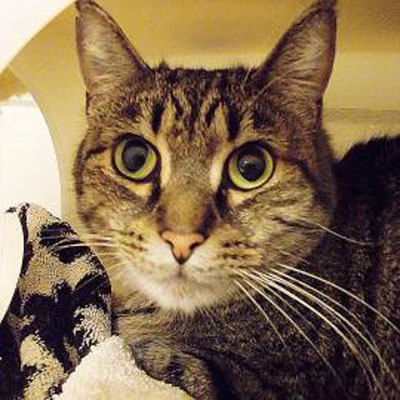 He's a 3 year old male tabby domestic shorthair mix. He came to Lollypop because his family moved. He's a shy guy but, once he gets to know you, he's affectionate and very sweet. He'll do best in a quiet home. If you've got the home for him, he'lll find a home in your heart.